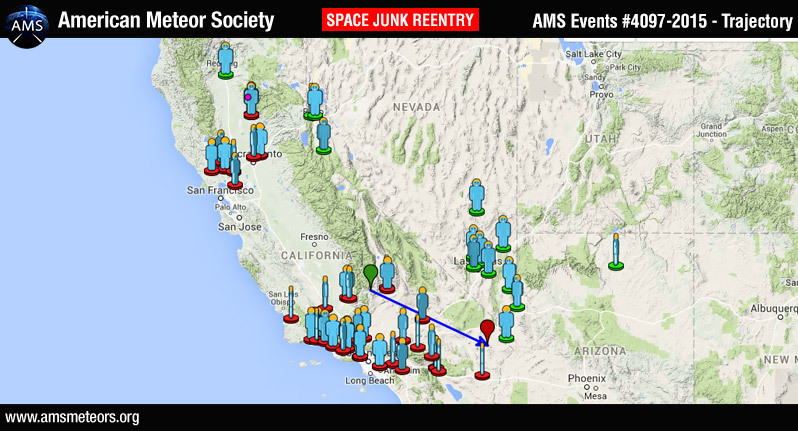 The American Meteor Society (AMS) received more than 55 reports of a bright object over California, Nevada and Arizona on Tuesday, December 22th around 18:10 PST. It wasn’t a fireball. The phenomena was Russian space debris – a SL-4 rocket body that reentered the atmosphere somewhere above Arizona. 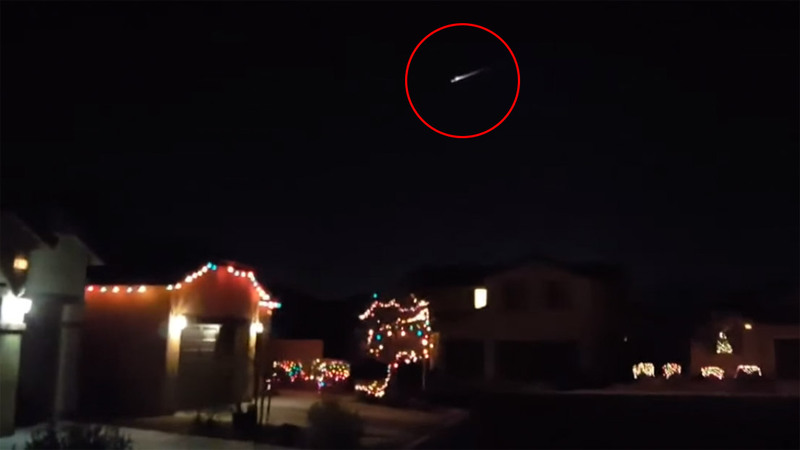 Most of the witnesses speculated that it was a meteor, a fireball or even… Santa. I was out looking at the moon last night and seen a brilliant bright streak out of the SW then a burst of green, then it broke up into 3 parts. No fire red just this intense green. I wish i had a picture. Must of been Moore of the Russian rocket debris. .